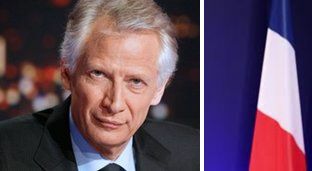 French former prime minister and centre-right politician Dominique de Villepin has announced he will stand for president in the 2012 election. However, recent opinion polls suggested Mr de Villepin, 58, would only get 1 or 2% of the vote. On the other hand, his candidacy will certainly annoy the president because he will take away precious votes in the first round of the election at the end of April, the BBC's Hugh Schofield reports from Paris.